Greetings, fellow bloggers and crafters! I have some exciting news to announce, but first I have some crochet love and fun new creations to show you! I’ve been doing a lot of crochet projects lately! 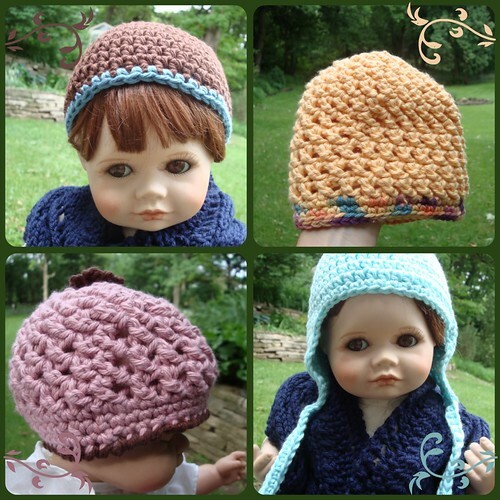 I have always greatly enjoyed crochet and want to show folks the range of projects that can be made. 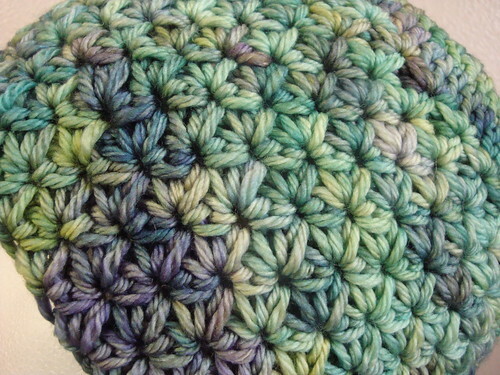 I love crochet because the basic stitches can easily be manipulated to create a variety of pieces. 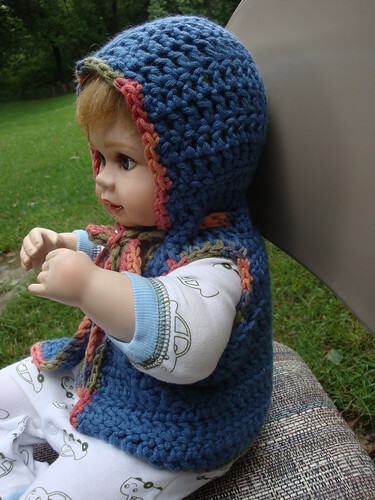 Crochet can make elegant, lace shawls and scarves, summery children’s hats, fashionable adult hats, toys, baby blankets, clothing, and most any other project. Another nice thing about crochet is it is slightly less time consuming than knitting. 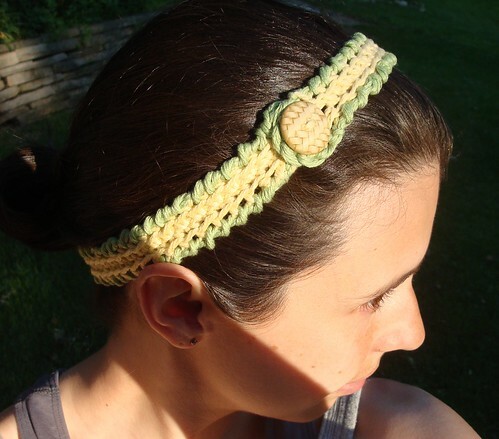 Here is a link to my crochet favorites on Ravelry. There are over 600 so browse as long as you would like! Anyway, I love making crochet hats because they are so simple and fast. 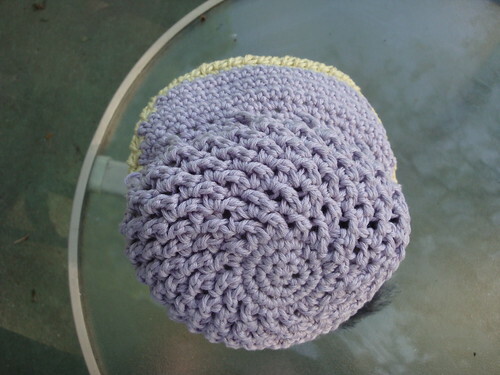 A baby hat can be made in as little as an hour with larger hats usually taking 2+ depending on the stitch pattern. This next pattern is an original. 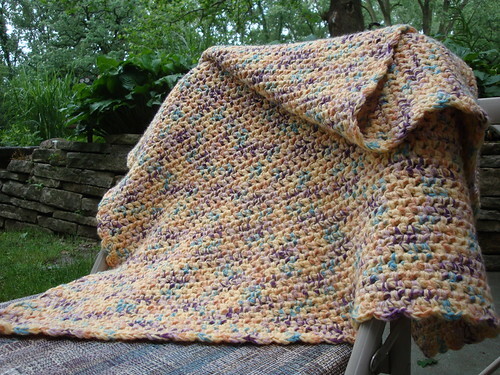 It is done by crocheting in the back loop only and then using the crab stitch as a border. 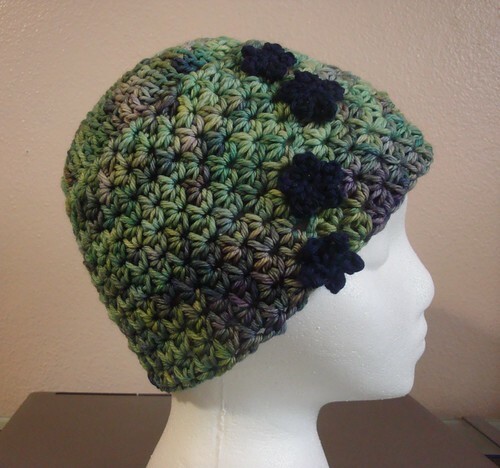 I got the idea from the crochet hat above as it also has a crab stitch trim. 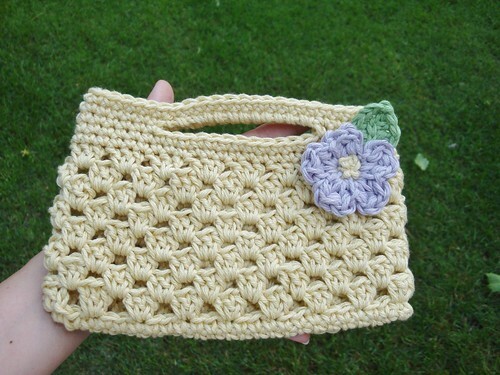 The purse below is another fun, summer creation. As you can probably tell by the colors, the last two projects were also made with the this yarn. This yarn is Cascade Sierra and it is 80% cotton and 20% wool. It’s incredibly soft, but it does get a bit splitty if you have to handle it too much. Overall, I enjoy it because the end product is so cushy and beautiful. 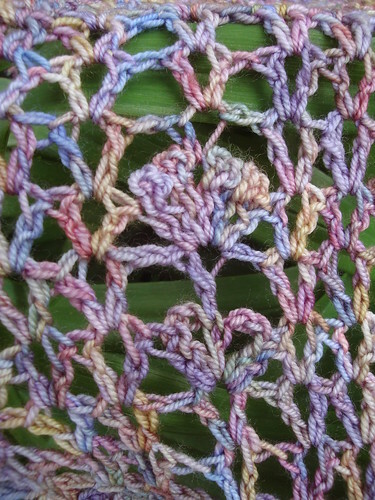 The bag pattern can be found on Ravelry and the flower is an original made using the bouillon stitch. The hats below are some random baby hats I’ve been making up. They are done in Hobby Lobby I Love This Cotton and require very little time. 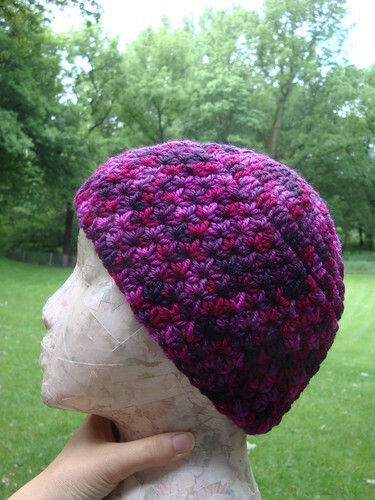 Speaking of hats… here is another Spring Bloom Cloche. I made this one a little shorter as the ears don’t need to be completely covered in warm spring weather. I used Cascade 220 Superwash Paints and am very happy with the yarn. It is beautiful and soft…. almost as good as my Malabrigo Rios! 😉 This hat takes closer to 4 hours to complete because the stitch is more complex; however, I think it’s worth it in the end as the result is a beautiful flow of color! And last, here is a simple sc baby blanket made by my ma. She used Baby Bee yarn with two strands held together. 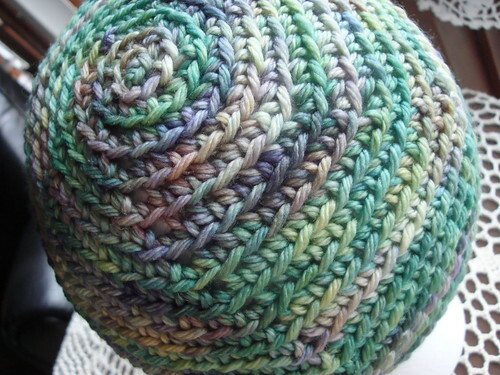 One strand is variegated and the other is solid… I really like the finished product! Now that you’ve seen some fun pieces perhaps you’re wondering why I’ve almost completely ditched knitting and only crocheted for the last month or so. Well, back in April I spoke to the folks at Knitted Together about the lack of crochet love in yarn shops. Even a look at the patterns on Ravelry show 58,053 crochet patterns to the whopping 166,039 patterns available to knitters. Anyway, this conversation ended with me putting together a Beginning Crochet class for the shop. I am very excited to share my love for crochet with those who want to learn. If there is interest a Crochet for Knitters class and perhaps an Amigurumi class will be put together for this fall as well. If you would like more information on the intro class you will find it here on the Knitted Together class site. 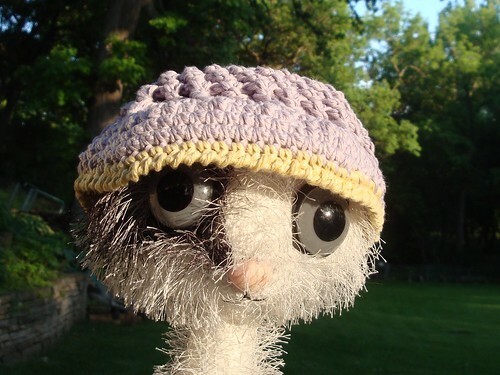 So what about all of you who read the blog… do you knit and crochet? What is your preference and why? 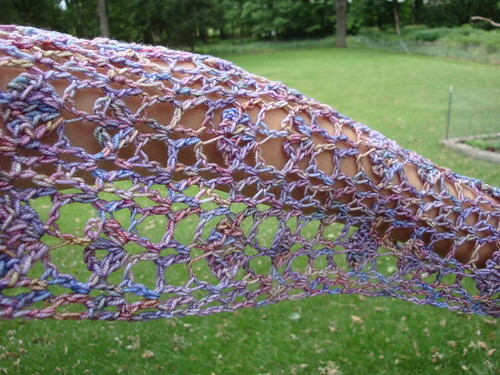 If you don’t know how to crochet and have an interest – what are you most interested in learning? Go ahead, spill the beans!